For years, anecdotal evidence has existed declaring chiropractic beneficial for those with asthma or other breathing issues. While the scientific data has not been as widely available, there are now numerous studies which show chiropractic adjustments have a positive effect on lung function. We have included summaries of a few of those studies for your reference. For example, a paper presented at the 1996 Annual Upper Cervical Spine Conference reported on a study of a specific upper cervical adjustment and its influence on pulmonary function. Similar to there being many types of therapies and even medications, there are multiple techniques that can be used for an adjustment and multiple techniques may be used to treat the same condition. Doctors of chiropractic are trained to evaluate each individual patient to determine which technique or techniques would be most beneficial throughout their treatment. In the instance of this technique, the lung function of 58 study participants was measured on a computerized auto-spirometer at the beginning of the study. Fifty-seven percent (33 patients) were found to have “abnormal” lung function, with the remainder falling within “normal” limits. 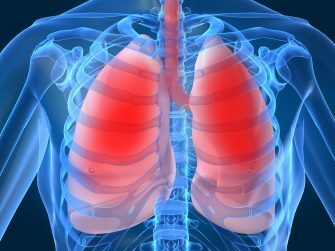 After only two weeks of treatment, almost half of the patients with “abnormal” lung function had improved to where they were testing within “normal” limits. The “normal” subjects also experienced improved lung function, though not as significant. This particular study focused on a single specific technique. Therefore, it is possible that the results may be even higher if multiple techniques were considered. In another study published in the Journal of Asthma in 2015, scientists examined the balance of young adults with asthma to determine if any impairment existed, and if so, if it was associated with changes in musculoskeletal function and/or psychological characteristics. Thirty-nine participants were recruited from undergraduate psychology courses. Twenty-one reported they had an asthma diagnosis, but denied a history of postural instability or history of falls. Participants were asked to perform a postural control task involving maintaining a center of pressure (COP) while standing in a fixed position both with and without visual feedback. Researchers documented COP variability, regularity and task performance to quantify the quality of balance. Neck and lower back angles were measured along with range of motion of the neck in order to calculate musculoskeletal function. Self-report questionnaires assessed psychological symptoms such as anxiety and depression, anxiety sensitivity and negative effect. While some results were similar between the asthma and control groups, there were variations observed. Asthma participants displayed more regular anterior-posterior COP dynamics. Additionally, they had smaller range of motion (ROM) of neck extension, more forward bent neck and greater thoracic spine angles. Asthma participants also reported greater levels of anxiety sensitivity related to physical concerns. These findings show that young adults with asthma utilize a different postural control strategy than their counterparts, even in the absence of an actual balance impairment. Further, this reveals changes in the musculoskeletal and affective characteristics of these patients. Therefore, it is possible, that by improving the posture and balance of asthma patients, there could be a corresponding improvement in lung function and therefore improvement of asthma symptoms. Taking a different approach, a systematic review sought to analyze the literature related to chiropractic care for asthma patients. Published in 2010 in the Journal of the Canadian Chiropractic Association, the review focused on a core group of research meeting specific requirements. Each was scored using measures including number of asthma attacks, medication usage, quality of life, asthma diary log entries, among others. In examining the studies, researchers noted a “trend of improvement” in the range of measures across the literature. Subjective measures showed a greater improvement than objective measures. Overall, while the review did not find a statistically significant difference, they note that “many of the children in the studies referred to in these articles were able to experience a decrease in their medication use” and that there were no reports of worsening symptoms or injuries. They concluded that there is evidence that some asthmatic patients may benefit from chiropractic treatment. Although these studies vary in size and outcome measures, the consistent reports of some patients experiencing improvement of symptoms cannot be discounted. Chiropractic adjustments work to keep the spinal column aligned which then allows the body to move and function at its optimal level. By maintaining flexibility and alignment in the thoracic spine and ribcage, the lungs may be better able to operate properly, giving the patient a reprieve from asthmatic symptoms. According to the American Academy of Asthma, Allergy and Immunology, asthma can be triggered by a number of different causes and these triggers vary from person to person with asthma. These factors include tobacco smoke, viral and bacterial infections, exercise, exposure to allergens such as pollen, dust mites or pet dander, acid reflux, some medications including aspirin or other non-steroidal anti-inflammatory drugs, weather changes, and emotional anxiety. While not a replacement for medical treatment of sudden acute asthma attacks, making chiropractic care a part of your treatment plan may have positive effects on the overall severity. If you or a loved one have asthma, talk to your doctor of chiropractic about how you can benefit from chiropractic care and help you breathe easier. If you don’t have a chiropractor, you can find one near you at tnchiro.com. Kaminskyj A, Frazier M, Johnstone K, Gleberzon BJ. Chiropractic care for patients with asthma: A systematic review of the literature. J Can Chiropr Assoc. 2010;54(1):24-32.